Artificial intelligence and human understanding. These two elements combined have characterized the Komodo chess program for years and are what make it stand out from all other top programs. On the development team, computer expert Mark Lefler and Grandmaster Larry Kaufman work together to continuously optimize their engine. Their successes speak volumes: Komodo has won a series of prestigious computer tournaments, including the TCEC, the CCT and last but not least the Computer Chess World Championship 2016! 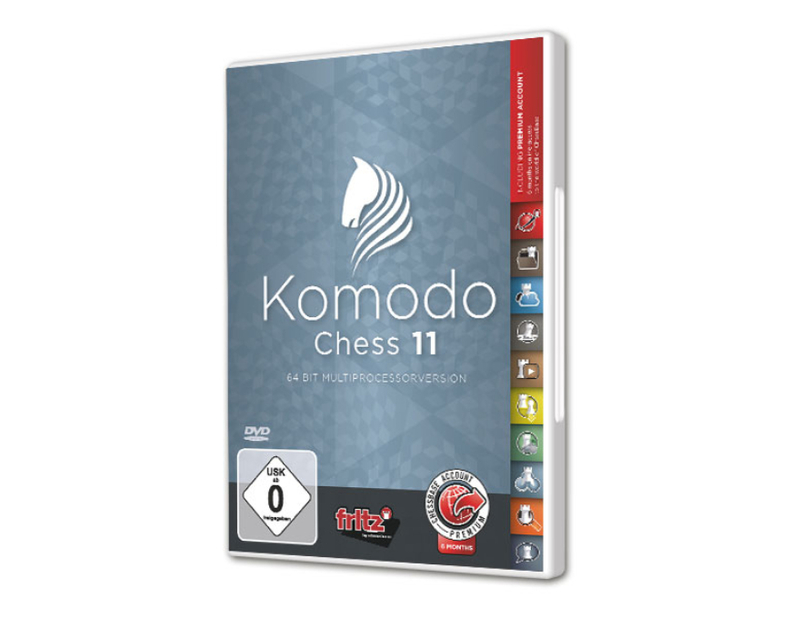 Komodo, as well as chess prowess, offers all the training and playing functions you know from Fritz, including direct access to the ChessBase Web Apps such as Live Database, the ChessBase video portal, our tactics server and more! Komodo’s intelligent and results-driven evaluations have also proven extremely effective in practice and are reflected in the engine’s playing style. If Komodo 11 considers its position to be advantageous, it avoids exchanges and seeks to open the position, but when defending a worse position, it strives to exchange pieces and block the position, in an attempt to push the game toward a draw. It also recently demonstrated its exceptional playing strength in a series of matches against Grandmasters, including the current world #6, Hikaru Nakamura. Komodo remained unbeaten in over 50 games in which it gave its human opponents a material advantage or several free moves - with the exception of only a few games in which the handicap consisted of two important pawns or the f7 pawn and three free moves. Komodo even beat Nakamura 2.5 to 1.5! This ultra-strong engine has won three of the last four TCEC championships, making it a multiple winner of the most prestigious prize in computer chess. What is more, at tournament time controls, Komodo is #1 in the majority of rating lists. At the airport, in the hotel or at home on your couch: with the new ChessBase you always have access to the whole ChessBase world: the new ChessBase video library with hundreds of training videos, tactics server with more than 50,000 tasks, the brand new opening training App, the live database with eight million games, Let’s Check, and, of course, web access to playchess – all you need is an internet connection and a current browser, no matter whether you use iPad, a tablet PC, iMac, Windows, Android or Linux. Every day around 20,000 chess enthusiasts log in to Playchess from across the globe, so you can be sure to find an opponent of your playing strength almost immediately! When you want a break from playing, you can just as easily watch live Grandmaster blitz, or tune in to coverage of world-class tournaments. You can choose who to play against and at what time control, whether you want to try and improve your Playchess Elo in a rated game, or whether it should just be a friendly match – all you need to do is set up your options and the games can begin! In addition, Playchess hosts several hundred Grandmasters, and even former World Champion Garry Kasparov is no stranger to Playchess. Watch a GM during a blitz game, or take advantage of the daily tournaments for players of all abilities and test your mettle under real tournament conditions! Be part of the action and watch as Anand, Carlsen & Co. vie for victory or the World Championship title - as a Premium member, you benefit from the gripping live analysis of world class commentators such as Daniel King, Yasser Seirawan and Maurice Ashley to name but a few. Tune in and be there for the decisive moments in those crucial games. Has anyone played this move before? What’s the main line after 9.Re1? What are the results in my favorite variation – and how can I improve on them? The ChessBase Live database provides you with access to games from across the entire history of chess. Enter moves on your board to see which top players prefer a specific variation, all at the click of a mouse. Take a look in the variation tree to see the latest theory – as well as other promising continuations! MyGames is another cloud feature from ChessBase – load games in a matter of seconds and play them back at your leisure. 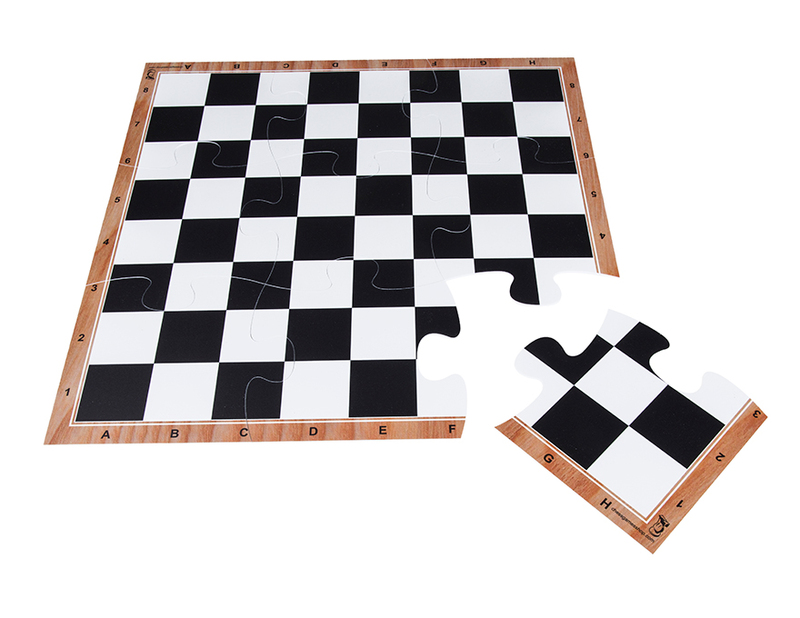 All you need to do is login to “MyGames” and all of your games are there, just where you left them – including those from Playchess! Play through your games with other players or teammates, or let Fritz or another cloud-based engine help you search for improvements in your play! Anyone who knows how to play chess has almost certainly heard of Fritz. In its early years Fritz was small enough to install on your PC from a "floppy disk" (something today’s youngest players have probably never even heard of!). In 1995, Fritz won the Computer Chess World Championship, and soon made its way around the world on CD ROMs. The latest version, Deep Fritz 14, is among the strongest multi-core engines in the world. But until now you always needed Windows to play it. How did the Winawer with 7.Qg4 go again? Can I still remember my preparation against the Exchange Ruy Lopez? Opening variations are often so complex that you need to see them many times to memorize them for your next game. The ChessBase news page covers every top tournament, with daily reports from across the world of chess, round by round. The most important games, the latest photos and all necessary information about players and locations can be found here, all organized by our excellent editorial team. Pentium III 1 GHz, 2 GB RAM, Windows 7/8, DirectX9, graphics card with 256 MB RAM, DVD-ROM drive, Windows Media Player 9 and internet access. Recommended: PC Intel i5 (Quadcore), 8 GB RAM, Windows 10 or 8.1, DirectX10, graphics card with 512 MB RAM or more, 100% DirectX10-compatible sound card, Windows Media Player 11, DVD-ROM drive and internet access.